Why Steem price is going down and down? Will you stay in steem if price stay same in 2019? It is always better to have something than nothing. If I spend in any other social media, then I know I am not going to be rewarded for my effort. But in steem community, I think there always has been a reward no matter how small that is. On the top of that it is decentralized, so my engagement and the way I interact is always transparent. That is another key factor to stay in steem. As for price, it is not just steem only which is low, rather all crypto assets are in low price. If you look and read too much about the price of steem then I think you may miss out the beautiful ecosystem of steem community. There are so many dapps on the top of steem blockchain now and one can easily find one of them as most suitable to engage. There is also value addition. 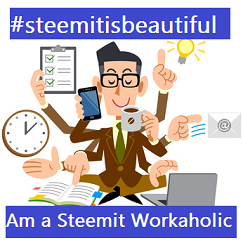 To be honest, I have learned a lot of blogging skills after joining steem community. I know I might not have cared that much with my facebook account. This community is also slowly making its base and the next run for this community is certainly going to be beautiful, it may take some time. But one day everyone will realize the worth of this community. Once again I would like to say that if you look at the price, this wonderful ecosystem you can not enjoy, i do not think there is any other social blogging blockchain which has so many dapps with different purpose of social blogging interest. Social blogging is also having so many sub categories and in order to address them, so many dapps are evolving and some are doing really well. You can take the example of steemhunt, musing, dtube, actfit, dpoll and many others. People are getting benefit from this ecosystem. What else one need. I am going to stay here not just in 2019, but for as long as this ecosystem is there around us. Steem blockchain affords me the platform to learn everyday. I learn here on a daily basis and it has so added value to m y life in the past 12 months of dedicated time here. Steem blockchain affords me the privilege to sharpen my innovation prowess. You cannot meet and interact with innovative people and not be innovative. While I've said countless times that there are niches on Steem platform that has redefined innovation for me - @musing @sndbox @partiko @steeemgigs @ulogs etc. My continual stay here is motivated by the fact that I will be encouraged to innovate. I am building a life project on Steem blockchain. In 2019, @writeandearn which is a publication project will take its full course. The project is inspired by Steem and will make tangible impacts in my local economy especially in the education sector. Steem blockchain leverages me the opportunity to monitor the growth of my writing and interaction skills. Steem blockchain encourages charity and love-sharing initiative such as what is obtainable in @Steemchurch @Charitycurator @Sc-v etc. Being a part of Steem allows one to touch lives meaningfully. This is my answer to a Question on the the Musing platform. It's not just Steem that's down. Every cryptocurrency is down versus a year ago. And not only that, so is the stock market. The New York Stock Exchange just had its worst December since 1931. And 2018 was the worst year overall since 2018. So while Steem might seem like it's been hit hard, it's not the only one. As for whether or not I'll be sticking around, absolutely! Actually, now is the time to be accumulating Steem, while values are low. Back around Thanksgiving, I bought $100 worth of Litecoin at $24/LTC. Since then, it's gone back up to around $33/LTC, a nice little profit if I were to cash out now! I'm likely going to wait until I can at least double my investment. But you see my point. Buying/accumulating while values are low is the smarter business decision. Then you just ride the wave and profit from your efforts! Can you sacrifice your life for another person?If yes, Who and why?Coughing really disrupts your activities, what do you do if you have a cold and cough?Has anyone encountered problems asking and answering questions on musing today?What exercise should be done by men so that the body's vitality is more fit?Is there a way to see most recent answers to your questions on musing?What makes you love your partner even more?Is it ever possible for one to overcome procrastination ?If the steem blockchain was to shut down today, what will you miss most about this platfrom?Does being madly in love with someone guarantees a long lasting relationship?Coffee and smoking, is this one of your favorites, is the advantage enjoyed at the same time?